Ranjitsinhrao Gaekwad (8th May 1938– 10 May 2012, Vadodara, India) was an Indian politician and the Maharaja of Baroda belonging to the Gaekwad dynasty of the Marathas. Born 8 May 1938 at Ootacamund, Ranjitsinhrao Gaekwad was the second son of Maharaja Pratap Singh Gaekwad, (r. 1939–1951), and Maharani Shantadevi Gaekwad (d. 2002), daughter of Sardar Hausrkar Mansinhrao Subbarao of Hasur in Kolhapur. Her daughter, Mrunalini Devi Puar is the current Chancellor of the M.S. University, Baroda. Ranjitsinhrao finished the education at Maharaja Sayajirao University (Baroda), and had a post graduate degree in fine arts. He was the younger brother of Fatehsinghrao Gaekwad. After Fatehsinhrao Gaekwad died in the Breach Candy Hospital in Bombay on 1 September 1988 at the age of 58, he was succeeded as Maharaja of Baroda by his younger brother. 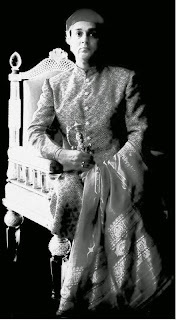 Maharaja Ranjitsinhrao Gaekwad died at 12:15 A.M. on 10th May 2012 at Baroda. Gaekwad was a member of the Lok Sabha (lower house of parliament in India) and served two terms as an MP (member of parliament), from Year 1980 till 1989. He became the Maharaja of Baroda on the death of his elder brother on 1 September 1988. Ranjitsinhrao Gaekwad were also a well known painter. 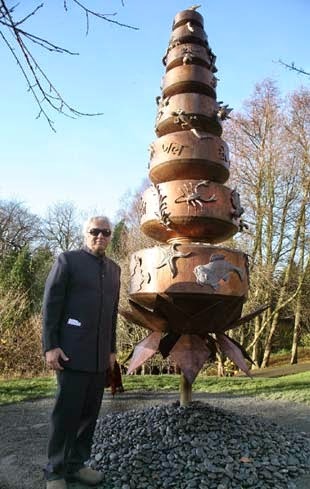 Maharaja Ranjitsinhrao Gaekwad also unvieled a sculpture named Vessels of Life, which was commisioned by Durham University and sponsered by Northumbrain Water and was installed in Botanic Garden, Durham City. 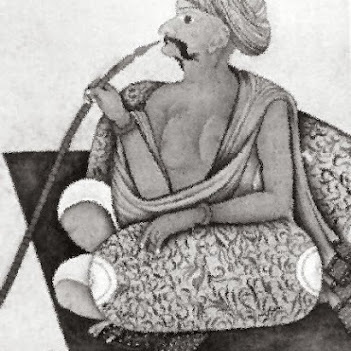 ‘Vessels of Life’ was inspired by the university’s Institute of Advanced Study’s (IAS) water theme and captures the Maharaja’s concerns over mankind’s wastefulness of water. In a News he also said that “In India we have every type of problem that can be associated with water, from drought to flooding. The Vessels of Life is 12ft high sculpture, which comprises of eight water carrying pots, growing out of a lotus and embellished with plants, flowers, birds, fish and animals. At the bottom a single tap reminds people how much the availability of safe, clean drinking water is taken for granted. •Maharajkumari Alaukika Raje, married 1988, Darbar Shri SATYAJITKUMAR KHACHAR, 11th Chief of Jasdan. •Maharajkumari Anjana Raje, married 1999, Shri APRATIM SENGUPTA. •Yuvraj Samarjitsingh Gaekwad, born 25 April 1967, married 27 February 2002 in New Delhi, Rajkumari Radhika Kumari of Wankaner.